Which way do you crumble? I know folks who like it plain. Just the usual butter, flour, sugar (maybe brown sugar) and a touch of cinnamon or nutmeg. But I never did like basic. I like to add oats (what a good way to fill up on more of that artery de-clogger, I say), and sometimes, toasted almonds (extra crunch!). 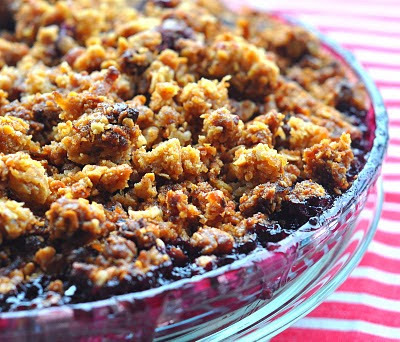 But my favourite crumble of all time, has got to be a coconutty crumble. It's just a little bit unexpected. A special touch that makes me (and hopefully my guests) feel like my homely crumble was actually something I honestly wanted to make. And not just a rescue plan for my fruits in distress. Do you know that coconut goes amazingly well with mangoes? The berries were great too, although I will confess that they were in there because, well, they needed rescuing. But c'mon, check out that beautiful purply burst-berried rim in the photo above, they baked up so pretty! Blueberries + Raspberries = Purple Juices!!! And they tasted brilliant too, honest. 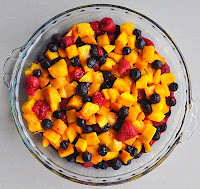 But if you are not dictated by the fruits in your fridge (like I frequently am) I urge you to go ahead and make a Banana and Mango Crumble. THAT, I know, would be totally phenomenal with the coconut topping. 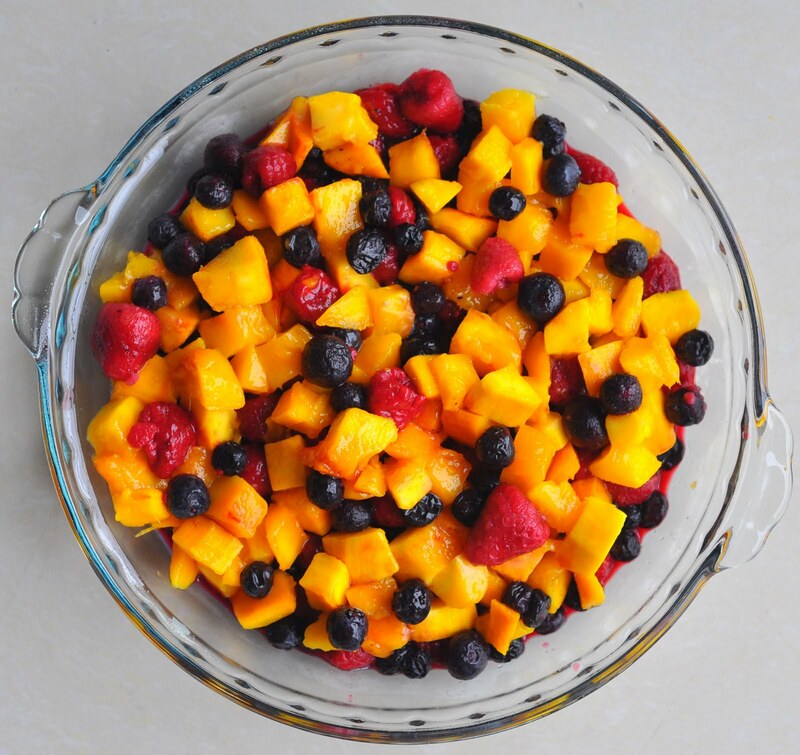 Fruits of your choice (enough to fill a 13x9x2 pyrex glass baking dish) (drain/dry fruits if wet). Preheat oven to 190C. Grease a 13x9x2 pyrex glass baking dish with butter or non-stick spray. Toss together filling ingredients and transfer to baking dish. Sprinkle topping evenly over the filling. Bake until topping is brown and crisp, about 55 minutes.